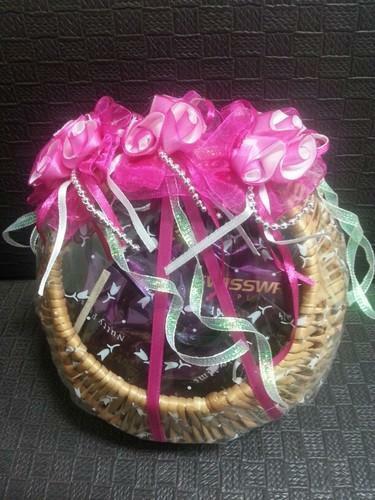 Swisswrap offers customized hampers for special occasions. 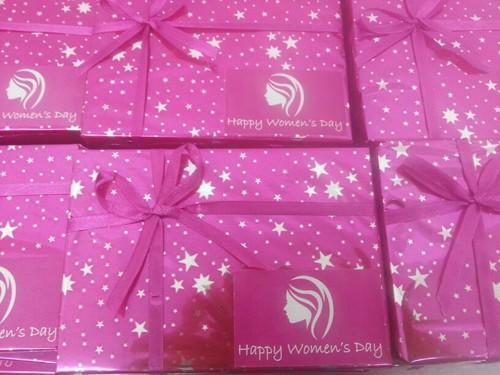 A special gift for women on occasion of women's day. This gift box contains assorted chocolates. 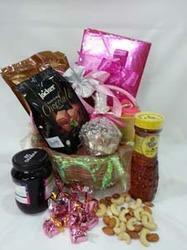 It is a special hamper made of assorted chocolates and fruit champagne. 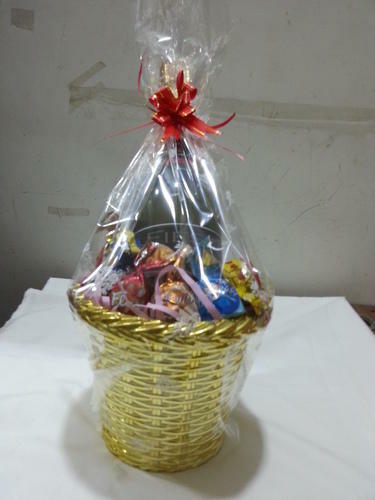 A nice chocolate hamper made in decorative cane basket . 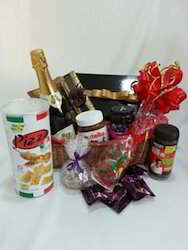 Anniversary Hamper offered is available in a wide range of design options to choose from with different assortment of goodies so as to match up with the specific tastes of one and all. These delightful creations can also be customized and further personalized by adding personalized message, card and flowers as per the specific tastes of the customers. As a perfect gifting choice for occasions like anniversary, it is best to be shared amongst family and friends. 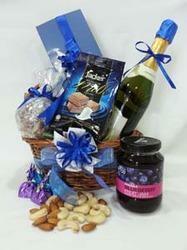 Further, this fantastic luxury Gift Hamper is suited to all budgets and tastes of the customers. 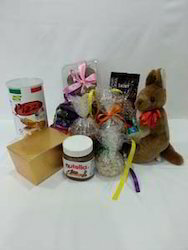 Anniversary Gift Hamper offered is best choice as a gift for celebrating anniversaries of loved ones, friends and between family. 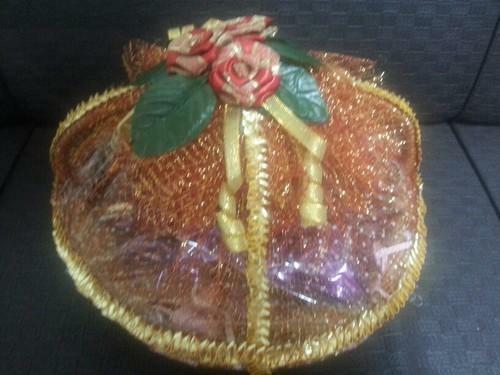 Providing for an element of style to the whole presentation, these carefully and attractively designed hampers indeed help in making the occasion all the more memorable. Taking cue from the emerging tastes of the customers, we ensure the choice of goodies present in the hamper meet the tastes of customers. 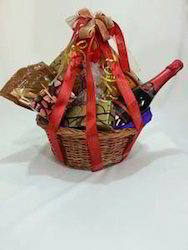 As a perfect present for one’s wife or husband as well as on occasions like anniversaries, these hampers are truly memorable and best option for wishing couple ‘Happy Anniversary’ with your personalized touch. Valentine Special Pink Hamper offered provides for a luxurious look and feel besides top quality and well thought of products packed inside. 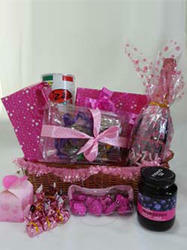 Carefully packed with choicest of goodies, these special pink hampers for valentine day is best choice as a gift to loved ones. 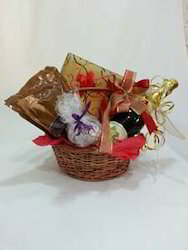 Further, the choice of different combination of goodies including chocolates and other best quality products as well as rose for personalization effect also makes these hampers highly demanded by the customers. For added attraction each of the box comes decorated with colorful ribbons that adds color to the whole presentation. 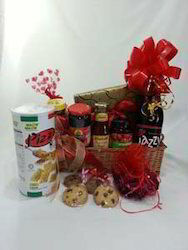 Looking for “Special Occasion Hamper”?